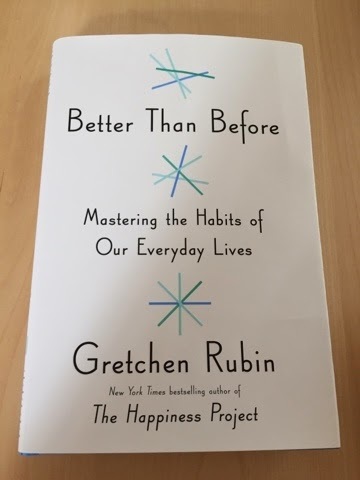 As part of this month's Birchbloggers Book Club, I received the book Better Than Before: Mastering the Habits of Our Everyday Lives. This book intrigued me from the moment I heard the title. Can I really be better than before? Not to say that I was already my best version but it seems like it was hard to change my ways since I've been so used to do my daily, routine life already. Then it got me thinking about my habits and about my usual to-dos that I don't think twice about anymore. This book is a must-read especially if there are things you want to start doing in your life- for example, start exercising or cooking more. There are different reasons as to why you're motivated to do something and it's important to understand what those factors are. Are they external factors such as exercising to meet up with a friend or internal factors such as cooking to stay healthy. The book starts off with understanding yourself and how you respond to expectations. It then moves onto the pillars of habits- Monitoring, Foundation, Scheduling, and Accountability. The best part of the book is to review different strategies to achieve and create those habits you've been wanting to incorporate in your life. I found this book to be completely thought provoking and so interesting. Thanks to Birchbox and their Birchbloggers Book Club for letting me learn more about myself. There's a few habits that I'm working on and will be using the tips I learned from this book! Look forward to next month's read! !